UCF’s student-athletes earned one of the top four Academic Progress Rates among the teams competing in the New Year’s Six bowl games. Of the 12 teams in the top bowl match-ups, UCF and Alabama both scored 984 in the APR – an NCAA measurement of classroom success – following the University of Michigan (990), Clemson University (987) and University of Washington (986). The results were reported in “Keeping Score When It Counts: Assessing the Academic Records of the 2018-2019 Bowl-bound College Football Teams,” a study released by The Institute for Diversity and Ethics in Sport, directed by Richard Lapchick at the University of Central Florida. 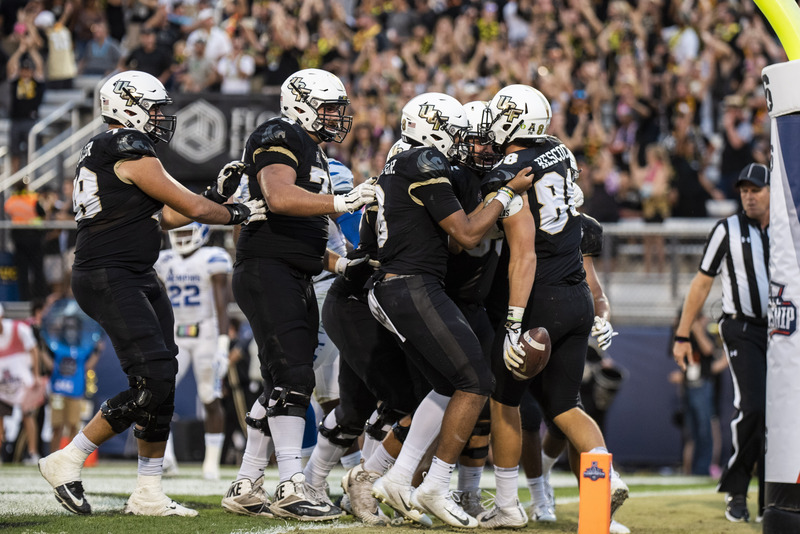 UCF ranked 13th out of all 78 bowl-bound teams this year for academic success. The UCF football team’s APR is also the highest of all football programs in the State of Florida. The NCAA created the APR in 2004 to measure academic success as well as improve graduation rates at member institutions. The measurement holds each university accountable for the success of student-athletes in the classroom and their progress towards graduation. Combined, UCF’s student-athletes in all sports have earned a GPA of at least 3.0 for 21 consecutive semesters. This past spring they saw a record 3.33 GPA. No. 7 UCF will play No. 11 LSU in the PlayStation Fiesta Bowl in Glendale, Arizona, at 1 p.m. ET on Jan. 1.